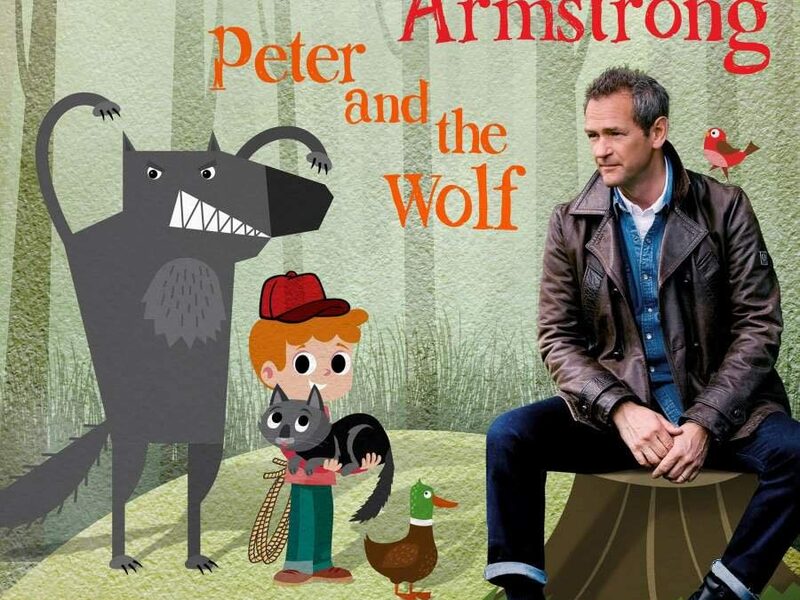 Peter and the Wolf (Warner Classics), featuring Vasily Petrenko and the Royal Liverpool Philharmonic Orchestra with narration by Alexander Armstrong, has reached number one on the UK’s Official Specialist Chart. Peter and the Wolf, Op. 67 (1936) is a ‘symphonic fairy tale for children’ by Sergei Prokofiev. In recording this work, Alexander Armstrong joins a veritable hall of fame, including David Tennant, Phillip Schofield, Willie Rushton, Lenny Henry, David Attenborough, Dame Edna Everage, John Gielgud, Ben Kingsley, Patrick Stewart, Sting, Christopher Lee, Peter Ustinov, Paul Hogan, Dudley Moore, Terry Wogan, David Bowie, Richard Baker, Ralph Richardson, Richard Attenborough, Sean Connery, Michael Flanders, Alec Guinness, Basil Rathbone. Click here to purchase Peter and the Wolf today.